The Colorado Women, Infants, Children (WIC) Program consistently seeks innovative ways to promote the consumption of healthy foods, especially fruits and vegetables. 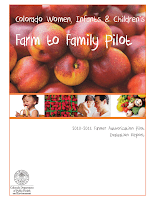 For a two-year period beginning in 2010, Colorado WIC conducted a “Farm to Family” pilot that connected local farmers with the WIC families of Mesa County. Farm to Family implementation involved authorizing eight select Colorado farmers in Mesa County to accept WIC fruit and vegetable checks from Mesa County's 2,900 clients during the 2011 harvest. Farm to Family was successful in raising awareness of fresh farm produce among low-income Mesa County mothers and familiarizing Mesa County farmers with a promising new market. 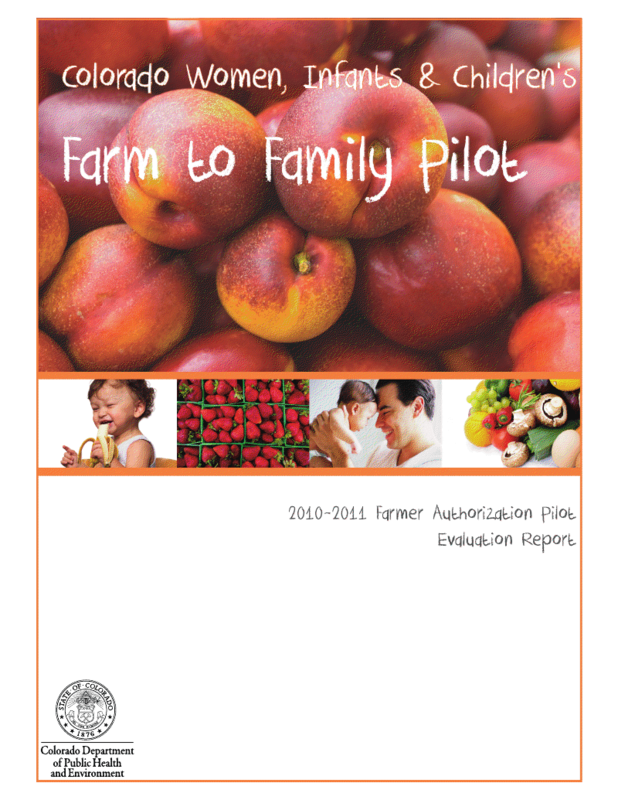 To learn more about this groundbreaking pilot program, read the WIC Farm to Family Evaluation Report.